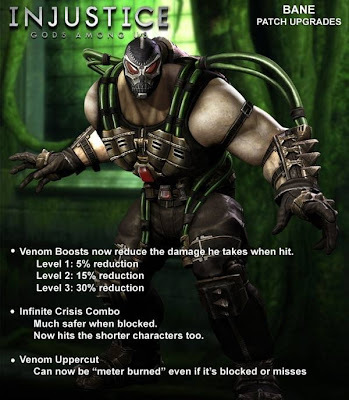 Take a look at some of the changes being made to Bane in the upcoming Injustice: Gods Among Us patch. The official Facebook page of Injustice: Gods Among Us has posted some Bane changes for the upcoming patch. For Lobo and The Joker changes, click here and here.